Mmmm, so what do we have to say about William Hill? Well, founded in 1934, it’s one of the oldest bookmakers in Britain. Its early roots might not give you much, shall we say, ‘trust’ in them: they were founded at a time when gambling was still illegal. Dodgy foundations, and if you read the online Trust Pilot reviews, you’ll assume that nothing much changed, but you’d be wrong. First, the fact that gambling was illegal speaks more of the times than it does of anything else. It’s unsurprising that gambling was illegal in the ‘30s. That was the time of the Great Depression; people were desperate and haemorrhaging money through gambling probably wasn’t the ideal solution for getting the economy back on track. Gambling wasn’t made legal until The “Betting and Gaming Act 1960” – a time of hope. Secondly, the issue of all the negative online reviews? Well, it’s to be expected. People that lose money often react badly. They look for ways to recoup their money, and, of course, that means complaining to/about William Hill. Is the betting shop likely to refund lost bets? Err, no. That’s the risk you take when you make a bet. It’s doubtful that many of the reviewers have legitimate complaints, but I’m sure some do. Now on to the important things: what’s it like to play on William Hill? In terms of first impressions, it’s a bit of a mixed bag. It’s definitely not a flashy gambling site, and for me was more reminiscent of the entry to the London Stock Exchange: statistics, odds, and excel-looking formats. For professional gamblers that use analytical tools to place bets, William Hill will is at the top of its game. But, if you’re expecting to see the flashy dazzle of some of the other sites, it might initially come as a bit of a disappointment. Don’t worry, though, because it does have the flashy elements, they’re just confined within certain areas of the site, like the new ‘Macau’ section: it’s flashy, with simple gambling games, and a great way to spend a few minutes/hours (depending on your skill/luck) escaping the humdrum. The mobile site, Apple, Android, and Windows sites stick more closely to the ‘Flashy’ look, so if you prefer that, just download the relevant app. As you’d expect from one of the biggest names in British Bookmaking, William Hill has a fantastic range of games. One of our favourite features is that, as well as the traditional sports betting (which I personally love because there’s some skill and analysis involved), they offer financial betting. I knew it reminded me of the stock exchange, and it’s quite similar in a sense. Rather than betting on stocks and shares per se, you place bets on currency (Forex), commodities (Gold, Silver, and Oil performance), and Market Indices performances. If you ever fancied yourself a stock-trader wannabe (think Wolf of Wall Street), William Hill can be a great place to hone your skills. We would definitely recommend setting betting levels though – it’s easy to get carried away with this type of gambling – just ask Nick Leeson. Yes, that’s definitely my favourite part of the site, and it’s not something that I think many of the mainstream casinos offer. If you’re a dab hand with excel and you understand formulas, you’ll have a fantastic time. Aside from that, there are plenty of other games too: Sports Betting, Casino Games, Scratch Cards, Bingo (including free games), and Poker: so all of the usual. Their Sports Bets are comprehensive, and you can bet on competitions from around the world. 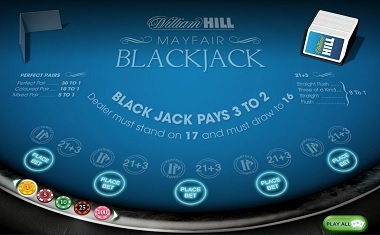 William Hill Casino uses over a dozen different software providers but for the majority of their traditional casino games such as blackjack, roulette, and video poker they use the well established Micrograming and Playtech platforms. There really are a huge range of casino games on offer making the total number of games available at William Hill pushing 400. 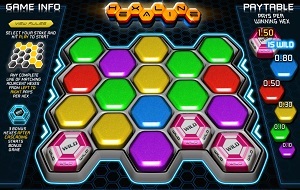 There is an interesting range of novelty games that aren’t available anywhere else such as crown and anchor, bubble bononza, cashapillar, spingo, hexaline, kashatoa, three wheeler, triangulation and many other games that we’ve never heard of before! If you’re a casino neo-phile you will love this site. It’s also worth mentioning that William Hill Casino is ranked in the top three of our best blackjack casinos, mostly due to its awesome range of mobile blackjack options. One thing that I really like about this site is that the bonuses work on an opt-in basis. You enter the voucher codes separately. You can do this at the time of deposit, if there’s a particular promotion that you want. Or, you can do it on an ad hoc basis if you happen to pick up a voucher from somewhere else. You aren’t forced into any welcome bonuses, which is good. Often, welcome bonuses mean that you have to play through a certain amount of money before you can take any out. What frequently happens is that people feel that they’ve won big, but because they’re forced to play through a certain amount of money, they lose it all, and then feel conned. It is a bit of a trick used by the online bookmakers, but William Hill’s bonus structure means that you can avoid it. 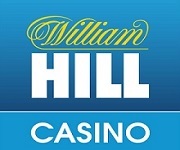 Interestingly William Hill offer a download casino which can make for more reliable gaming in the event of an unstable internet connection. If you opt to play at the download casino rather than the browser casino then your first deposit bonus is 150% up to $200 t&c apply, instead of the browser bonus of 100% up to £150 t&c apply. Something to ponder on! As a high-roller you can get a bonus of up to £300 (talk to an assistant before you sign up) and there are daily deposit bonuses t&c apply, so if you plan your gambling wisely you’ll always be able to play with more money than you put in. In terms of bonuses, William Hill has one of the best setups out there for regular players. William Hill offers a decent choice of platforms, including desktop, mobile website, Android app, Apple app, and Windows app. You can’t download the Android app from Google Play, so you’ll have to go through their website if you want it. 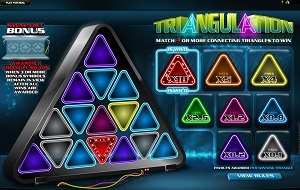 The app is available at the Apple Store, where it’s had fantastic reviews. It’s also available on the Windows Store, but it hasn’t had as positive reviews – that’s probably because the Windows platform in general is, unsurprisingly given that they’re new to the market, less good than the Android and Apple platforms. William Hill has a clear policy when it comes to responsible gambling. There are plenty of checks and balances in place. 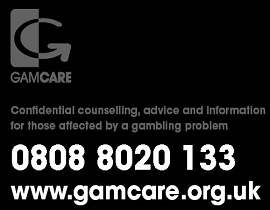 They have an entire section dedicated to gambling awareness, and they belong to various safe-gambling organisations. Still, they are a bookmakers and casino, so they’ll happily take your money. Overall, we think William Hill is one of the best bookmakers and casinos around. It has a fantastic range of games (the financial and sports gambling sections are my personal favourites), a decent bonus structure that doesn’t feel constraining, and, if something does go wrong during your visit, a live chat section that answers within a relatively short time (one or two minutes at most).